A modern update of a beloved classic. The sayings of Brother Lawrence have inspired thousands to live a life sold-out for Christ. 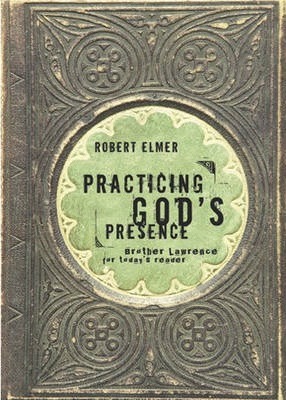 Originally published as a brief booklet shortly after Lawrence's death in 1691, his classic work The Practice of the Presence of God has crossed nearly every denominational and cultural line. Yet despite its classic status, Brother Lawrence's seventeenth-century description of the Christian life is admittedly difficult for today's reader to follow. Sadly, this prevents all but the most dedicated readers from uncovering the spiritual treasures hidden under centuries of changing language. In this modern edition, Robert Elmer updates the ancient language, not the timeless message. Elmer's twenty-five years of experience as a writer and editor helps him unlock what was originally a straightforward account of how to love God straight from the heart, using accessible language that every reader can understand. Robert Elmer is a graduate of Simpson College and St. Mary's College in California. Most recently he is the author of The Duet and Jamie Lane Buys Riverdale, as well as over 35 popular novels for younger readers. He and his wife, Ronda, are the parents of three young adults and live in Washington state.